With highly advanced manufacturing facilities, RICO is able to manufacture, supply and export superior quality of the bio coal briquetting press machines over the world. 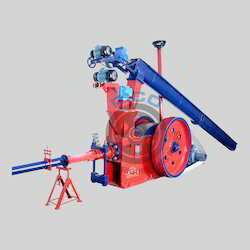 The briquetting press machines are designed and developed in our well-equipped infrastructure using high class metals like SS, iron and others. Our briquetting presses machines are used to reduce and reuse the biological waste like coffee and tea wastes, cotton stalks, coir pith, wood bark etc. We, the Radhe Industrial Corporation is the leading manufacturer and provider of the biomass briquetting machine since 1991. It means we are having the experience of more than 22 years in this business. During this 22 years, we have built good brand name in this sector. 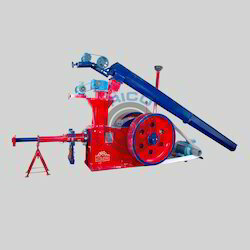 We have achieved the topmost place in this briquetting field and offer high quality machines for sale. The briquettes made from green waste like tea and coffee waste and other crop bio waste is a green renewable fuel useful for the industries. The coffee husk briquette making machine offered by RICO is with the latest binder less mechanism reduces the carbon costs of the industries. We make sure that our briquetting press is totally non-polluting and properly packed in quality. The briquette press machines are employed for production of high quality fuels from the various forestry & agricultural waste materials like husks, bagasse, fertilizers and many others. We are the top level briquetting plant manufacturing company which assures our consumers by delivering a high graded briquetting systems. The briquetting machines which we provide are used to convert solid bio waste in to the block of highly dense briquettes. We offer such eco-friendly briquetting press equipment to our clients at market foremost prices that is best suit the concise of our customers. The biomass briquetting machine includes the conversion of loose density waste like groundnut shells, coffee husks, pine needles, coffee husks, etc. in to the quality fuel called biomass briquettes. The green recycling technological biomass briquetting machines are able to produce the coal briquettes in ample quantity. We supplies biomass briquette machine with the latest mechanism which is without use of any binder in the whole manufacturing process. We fabricate the high quality briquetting machinery by using the high-grade components & superior quality of raw materials. Our biomass briquette machines are responsible for manufacturing the high solidity briquettes from the coffee husks without creating pollution.